Autumn / Winter 2010 | Inis Meáin Knitting Co.
Inis Meáin (Gaelic for Middle Island) is one of the Aran Islands which lie at the mouth of Galway Bay on the west coast of Ireland. Inis Meáin Knitting Company is the main employer on this little island of two hundred people and we produce knitwear in the Aran tradition and more. Through us, the Aran tradition of practical fishermen’s garments lives and design and quality continue to improve and develop. 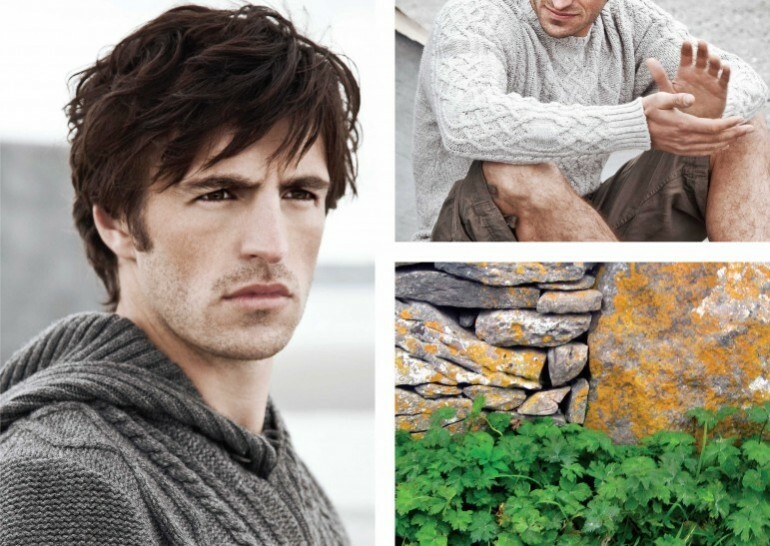 Those cabled and patterned knits that have kept island fishermen warm for generations come in cowl necks, shawl collars, hoodies and zippers. Then there are simpler knits, ganseys, after the style of the sweaters that islanders wore every day with plain crew necks and button necks. People imagine Aran knits to be only about cables and diamonds. 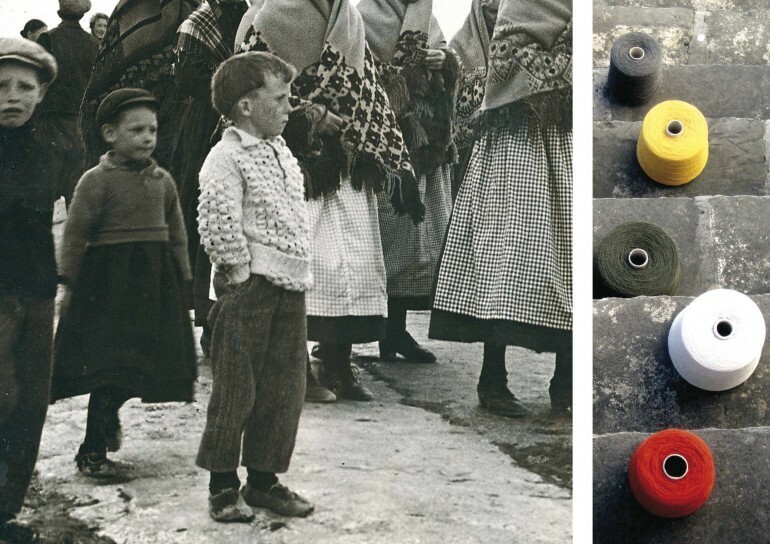 In fact, island knitters were always very versatile with their knitting pins as the old photos reveal. For Winter 2010 we have taken two very distinctive patterns from the knitters archives in Inis Meáin to introduce some colour in a beautiful and subtle way; colours inspired by the Aran landscape and the sea. These are the faroese pattern blended with the fairisle stitch, and the three colour tweed stitch. 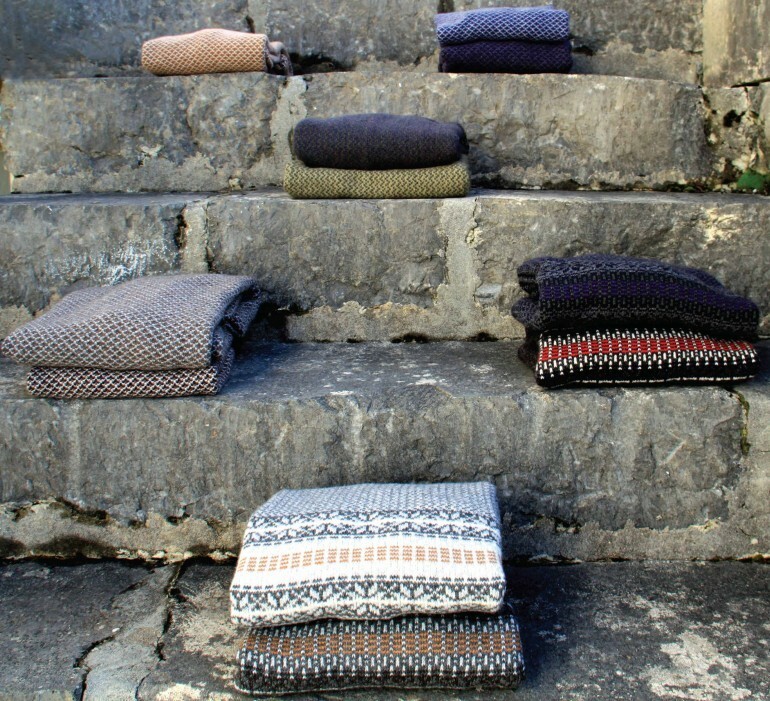 Of course we are showing beautiful Donegal knits in the classic jersey stitch and in classic shapes. To complete the collection we are offering bright and soft mufflers and hats.